It’s cold, it’s early and you have a long commute ahead. The garage opens, revealing a blanket of fog shrouding the street. That commute of yours just became a lot more problematic, especially if you can’t postpone driving for a few hours until the fog lifts. If you must proceed, transportation experts urge to do so with caution. “Slow down and allow extra time to arrive at your destination. Have your headlights on so drivers ahead and behind you know you are there, and make sure your headlights are set to low beam,” according to the Wisconsin Department of Transportation. 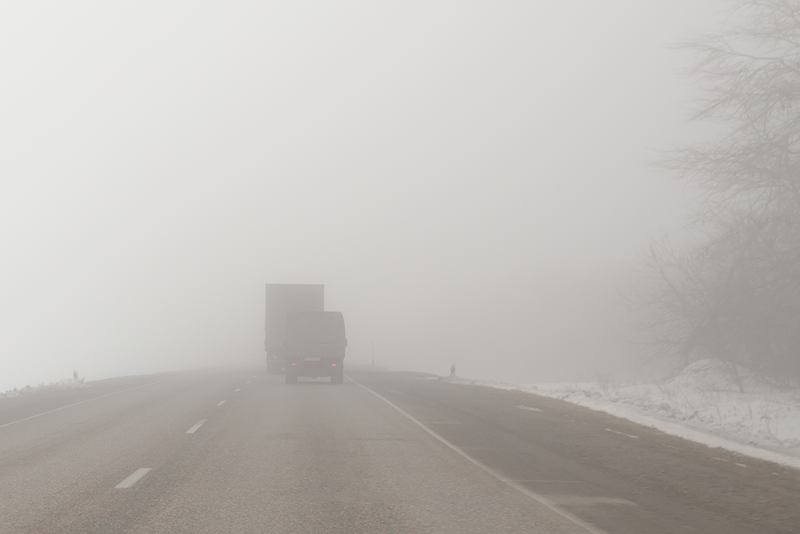 “Using high-beam headlights in foggy conditions will cause glare, making it harder to see. Below, the National Weather Service and Wisconsin Department of Transportation offer tips on driving in fog. Drive with your headlights on low beam. High beams will only be reflected back off the fog, further impairing your visibility. Use your fog lamps, if your vehicle has them. These low beam lights are closer to the ground and can improve visibility. Watch your speed. Fog can create a visual illusion of slow motion when you may in fact be moving quite quickly. Check local weather reports for fog warnings. You should anticipate fog on mild, windless days after a rain. Use your windshield wipers and defroster to improve visibility. In some areas you may be able to purchase wiper fluid that acts as a de-icer. Watch for traffic signs that display road conditions. “Fog alerts” often are posted in problem areas. Carry an emergency road kit with flares in case your vehicle is stalled or disabled.